Halloween is here! Time for the parties, corn mazes, haunted houses, and spooktacular games to begin. If like other enthusiasts of the All Hallows' Eve you want to make this year's occasion more thrilling than previous years have been, you must be currently working round the clock to pick the right costumes, music, movies, and yes, pumpkins. We've planned, hosted, and indulged in many Halloween parties before. So, below, we're going to share with you tips and tricks to help make your 2018 Halloween celebrations something to remember. Feel free to move to the next point if you won't be celebrating with kids. But, if you plan on sharing the day with the juniors, this is where your preparations need to begin. That's because owing to the scary decorations, many kids develop anxiety and fear as the Big Day approaches. It's your job to talk to your kids and reassure them that there's nothing to fear about Halloween and that they should look forward to an incredibly exciting day. Don't stop at pep talks, however. If you notice signs of discomfort or anxiety, respect those feelings and find ways to make the kid feel safe and secure again. This may mean turning off the scary music, putting away overly frightening decorations, and spending time with them away from Halloween-decorated areas. Many people put up Halloween décor. If you plan on doing this, begin by preparing your yard. Remove all unnecessary clutter, toys, bikes, pet stuff and so forth. You can temporarily store these items in the basement or the attic. Also, rake the leaves and clear away areas where the decorations will be placed. To keep everyone safe during the parties, check to ensure that your railings are secure. If a few posts are not secured, it's time to fix them. Clear the walkways too. Trick-or-treaters can be too busy for people to see where they're walking. Clearing the yard of tripping hazards is therefore very important. Other things you can start planning to include providing a lot of lights and containing the pets. Fortunately, many enthusiasts have unique Halloween decorations stacked away in the garage. If you're one of these people, it's time to bring out these decorations and check for any issues that need to be fixed. Also, see if there is anything you may need to add before the big occasion. For instance, do you need a few more pumpkins? Are there enough lights? If not, this is the time to address these issues. If you don't have previous years' decorations, take this time to acquire what you need. You can choose to buy the decorations or make them on your own. Some of the best online stores to buy Halloween decorations in 2018 include; Zazzle, ThinkGeek, Walmart, Wholesale Party Supplies, and LightIntheBox. Jack-o lanterns are the highlight of the Halloween holiday. Forgetting about them would be disastrous. For this reason, begin carving your lanterns early. Buy the pumpkins you need and follow online tutorials to create the best lanterns, unique to your party. You can also buy pre-carved pumpkins. Though, the thrill of carving them on your own is something you don't want to miss. In addition to carving the Jack-o lanterns, prepare to narrate the story behind the lanterns to the young ones. Basically, Jack was a grumpy man who made everyone around him miserable. When he died, he didn't get a place in heaven or hell, so he ended up roaming in the darkness between the two regions. One day, the devil took pity on Jack and replaced his head with a pumpkin having three holes carved out for the eyes, nose, and mouth, and placed candles in these holes to help Jack see in the darkness. Choosing a character can be one of the toughest challenges of the Halloween holiday. With so many fun and exciting options out there, picking just one character isn't easy. 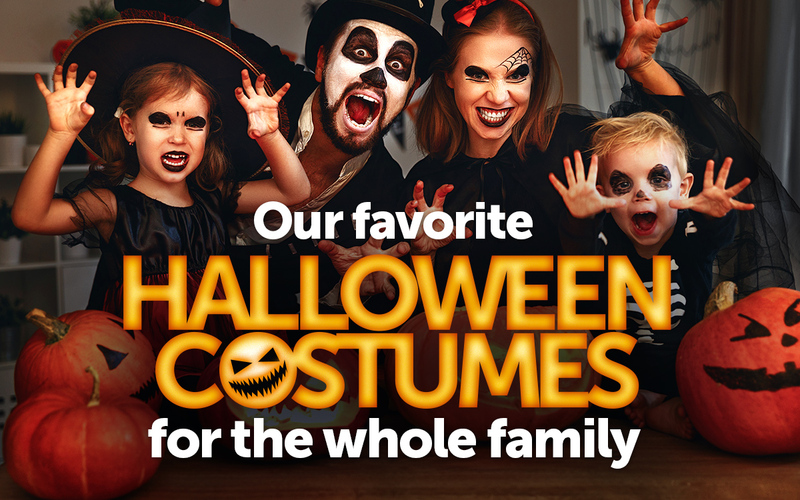 If you're looking for something simple but with a strong statement, we recommend dressing as the Joker, Cat Woman, Dexter or Devil Family. Zombies, Harry Porter, and Darth Vader are also popular. Then you have Captain America, Spiderman, and James Bond as other options. After choosing a character, get down to making the costume. This can take days, so you need to begin early. Alternatively, buy readymade costumes! Some of the best stores to purchase adult Halloween costumes include ThinkGeek, Wal-Mart, Costume Supercenter, and Anytime Costumes. For kids, check out Wal-Mart, Amazon, and Nordstrom. When we say Halloween party, that's precisely what we mean. Drinks and candies aren't enough – everything needs to be Halloween-themed. The following are just a few things to keep in mind. First, settle on a date. Although Halloween is traditionally celebrated on October 31, you can have your party a day before that if you have other plans for 31st. Once you have a date, it's time to plan for the guests and the atmosphere. Make a list of your guests and send out Halloween-themed invitation cards. You can have a separate party for adults or plan a family fun night for the kids. Ensure to hire a local band or DJ to play music and entertain the guests. Also, don't forget about costume contents. They are often the life of the party. Regarding food and drinks, simple appetizers and drinks should suffice. For adult parties, add cocktails and punch to the list while, for kids, lemonade and juices come in handy. If you like, you can make the punch red and name it "Vampire Blood." The truth is that Halloween parties are meant for you to express yourself and help the little ones enjoy as much as possible. So, don't limit yourself. If the suggestions provided here don't inspire you, feel free to try something different. After all, it's your party!